Part of my love for travel is seeing how the world really works. If there’s one thing I learned quickly in this regard, it’s that prosperity back home is based on anything BUT better ways of living. Even simple tasks like joining a gym can polarise what we know. In India, one of the cheapest countries on Earth, the cost of gym membership exceeds most advanced countries. You’ll be surprised to know it has nothing to do with fleecing foreigners and everything to do with one of the Seven Deadly Sins. Lauren and I prefer to train in the great outdoors. We find training indoors to be an exercise in utter futility. How crazy has the world become that we spend hours running on a machine that goes nowhere while staring at a wall? It really blows my mind, but that’s another topic for another day. Given lauren’s looming 1000-mile trek across the Gobi, and air pollution in Bangalore you could cut with a knife, we opted to train in a gym. Who knew it would become our largest expense by far. 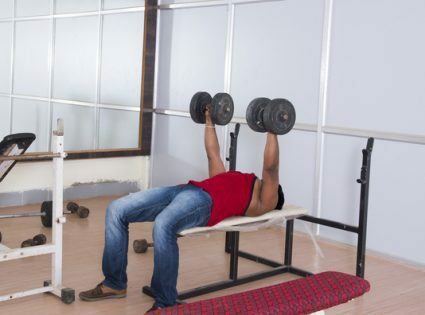 “4,000 per month”, said the lady at Gold’s gym in Bangalore. I quickly converted the currency in my head. “That’s about $80!”. Lauren and I were shocked. This is a country where samosas costs as little as 8 cents, which means I could buy 1,000 samosas for a month’s membership. The lady returned with our forms and like a bad tourist I said, “Excuse me, that’s more expensive than almost anywhere on Earth; this is India.” She smirked with as much politeness as she could muster. Huh? Our members actually visit… what does that even mean? Then it dawned on me. Many people back home have gym memberships, but rarely, if ever, visit. If everyone with a membership actually visited, gyms would be way over capacity and management would either need to rescind memberships, increase prices, expand facilities, or drop service levels. So in effect, the prices we get in the West rely heavily on one of the Seven Deadly Sins: Sloth. Sounds crazy on the surface, but I guess slothfulness is a product of prosperity. In India, when most people fork out that sort of money, they tend to take it more seriously and actually use the service they’ve paid for. I’m going to get myself into some trouble here, but what the heck. Considering the economics of gyms and my latest soundbite (slothfulness is a product of prosperity), what do these numbers suggest? Don’t let the numbers of the developed countries fool you. The difference between Australia, Canada, and the US is mostly to do with higher costs, not so much level of slothfulness. India’s numbers are also deceiving but in the opposite direction. In India, labor, equipment, and land are much cheaper. So given cost of living comparisons, an Indian gym membership should be about $10/month. But because it’s $80, that suggests gyms in India need to account for up to 8 times less membership waste. Less waste sounds good, right? Wrong, if you’re in the Indian gym business. So there you have it, all else equal, Indian gym memberships are so expensive because Indians tend to use the services they pay for. Bizarre concept, isn’t it? The average adult in the UK spends £1,213 a year on a combination of gym memberships that go unused, health foods that they throw away, and clothes they buy and never wear. That number comes close to the GDP per capita of India. Yikes!